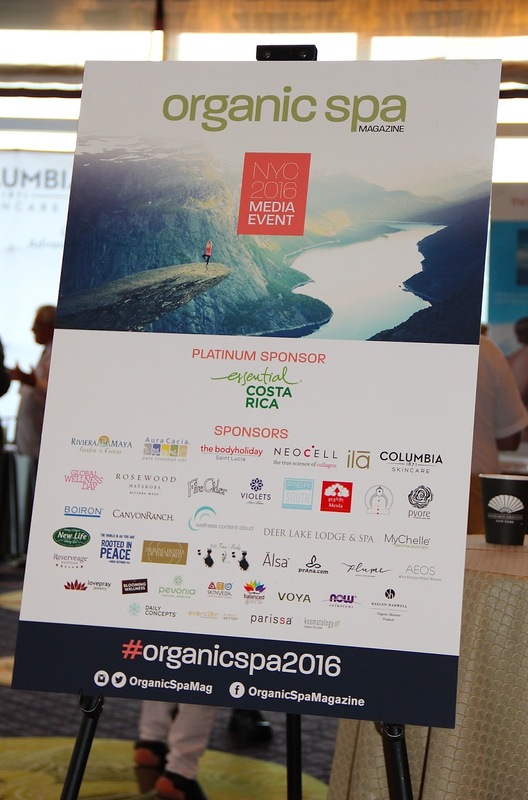 On April 25th at the Mandarin Oriental, the 4th annual Organic Spa Magazine's Wellness & Travel Media Event had an amazing lineup of skin care and spa sponsors. 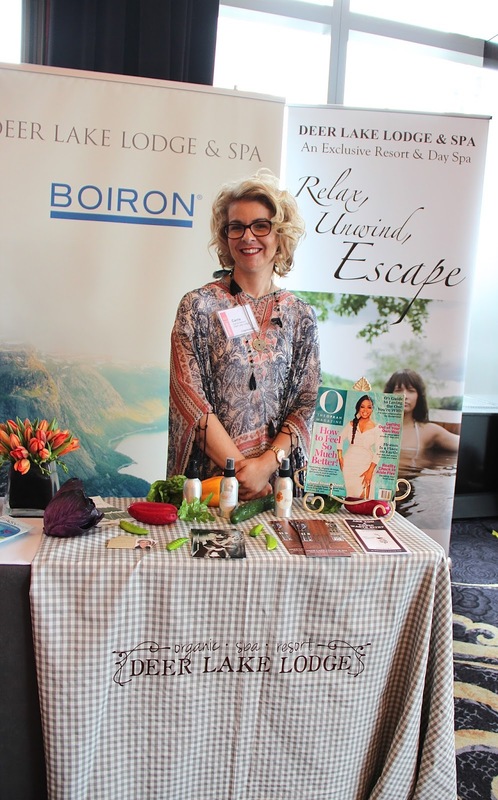 Sponsors included Riviera Maya, Aura Cacia, NeoCell, The BodyHoliday, ilā, Columbia Skincare, Rosewood Mayakoba, Fire Cider, Violets Are Blue, Menla Mountain Retreat Center, Pyore, Boiron, Canyon Ranch, Deer Lake Lodge & Spa, MyChelle Dermaceuticals, New Life Hiking Spa, Healing Hotels of the World, prAna, Plume Hair & Lash Science, AEOS, Reserveage, Pevonia Skincare, Skinveda, Kaelen Harwell, everclēn, Kosmatology and Parissa. Check out the highlights from the event below. Pyore (pronounced "pure") use the purest plant-based oils like Moringa, Jojoba and Argan for their rich nutrients. Pyore also uses natural ingredients such as green tea and coconut water in their fruit-based products, for cleansing, moisturizing and exfoliating your skin. ilā has a variety of products, from shampoos and conditioners to day creams and face serums and candles. NeoCell Biotin Bursts is one of my go to products. The high potency chews have 10,000 MCG Biotin in every bite. The Brazilian Acai Berry flavor makes it taste just like candy, so I always look forward to eating one. It promotes hair, skin and nail health, and are low in sugar, free of gluten soy and artificial flavors. During the media event, I was introduced to NeoCell's Derma Matrix Collagen Skin Complex and Keratin Matrix Advanced Hair Repair. Aura Cacia essential oils is another one of my go to products, for using when I make DIY products like exfoliating scrubs and bug spray. 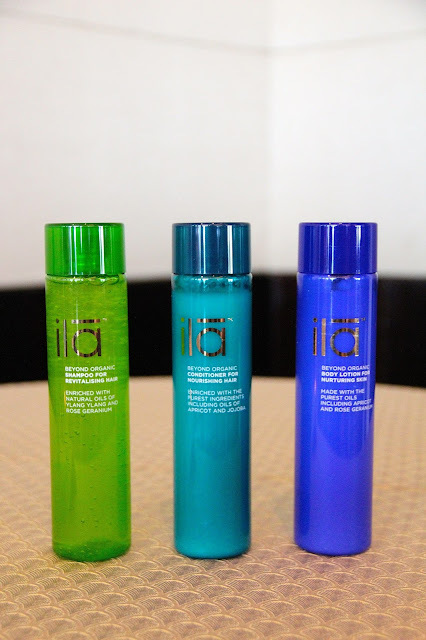 Aura Cacia provides many DIY skincare recipes, including one they had given out for a hair protecting mist. Aura Cacia also introduced their Essential Oil Aromatherapy Mist Diffuser, Skin Care Oils (Soft & Smooth, Renew & Recover, and Shield & Hydrate), and Essential Oil Discovery Kits. Violets Are Blue - their signature line includes soaps, scrubs, facial serums, body cream, deodorant and more. 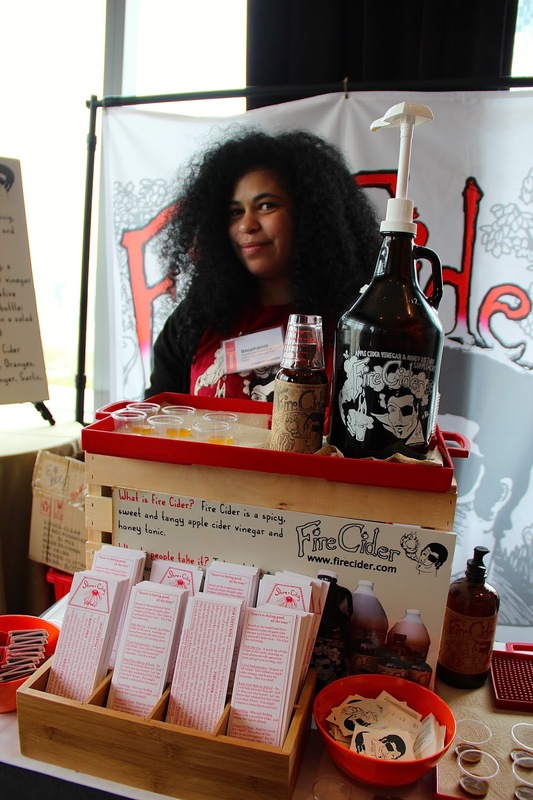 Fire Cider can be taken as a daily tonic, either taken as a spoonful or diluted in water or tea. Apple cider vinegar has many benefits, including weight loss, lower blood sugar levels, heart health and improved symptoms of diabetes. 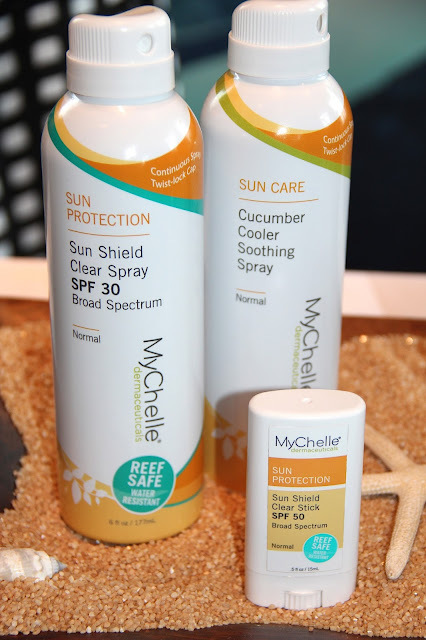 MyChelle introduced new sun protection products including an Sun Shield Clear Spray with SPF 30, Cucumber Cooler Soothing Spray and Sun Shield Clear Stick with SPF 50. 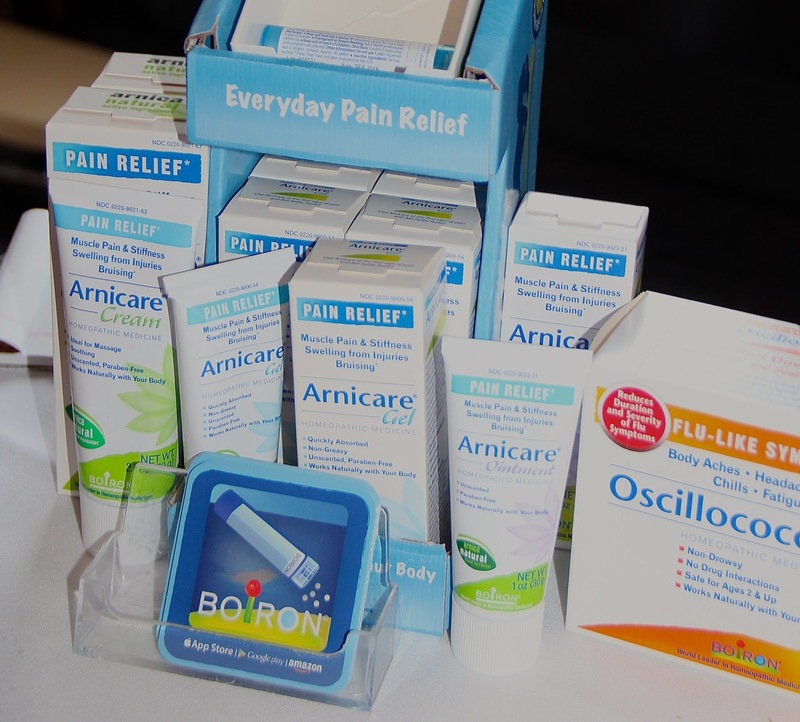 Oscillococcinum homeopathic medicine is great to have around the winter season, to combat those flu-like symptoms. Calendula Cream is perfect for healing cuts, scrapes and sunburn. Arnicare Gel, is useful for mosquito and bug bites.